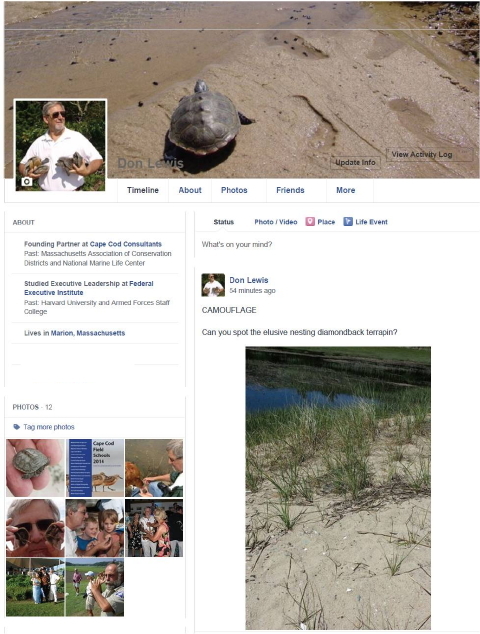 During the active field research season, it’s nearly impossible for us to update the Turtle Journal web site in conjunction with round-the-clock adventures and discoveries. We do, however, constantly update our Facebook page from the field, so that we can share our discoveries as they occur. Please friend us on Facebook by clicking here. Best regards from the Turtle Journal Team: Don Lewis, Sue Wieber Nourse and Rufus the Turtle Dog.